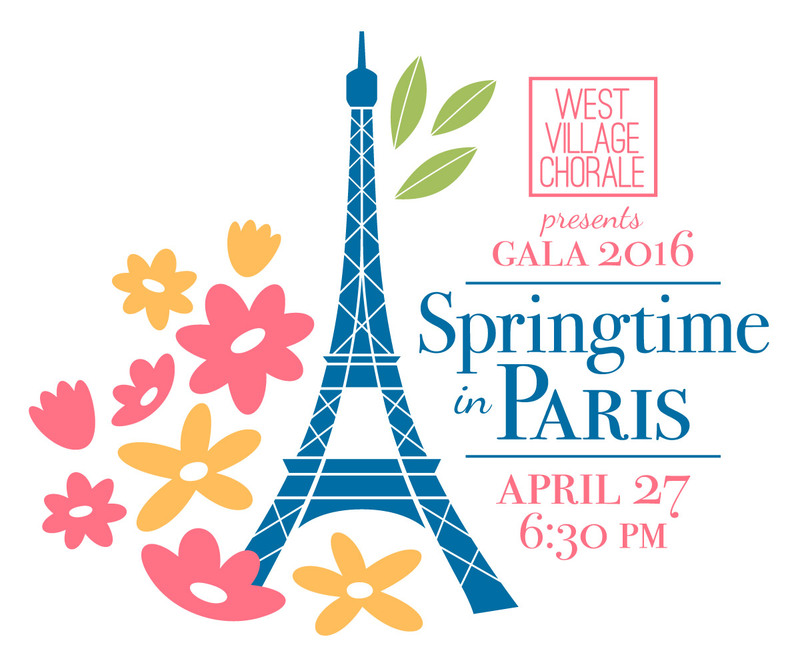 The West Village Chorale is thrilled to announce our Gala 2016-Springtime in Paris, at our very own West Village home–the historic Judson Memorial Church. As winter fades and flowers awaken, the City of Lights evokes images of romance and renewal. Join us for an evening of Ooh La La inspired song, performed by some of NYC’s finest vocalists, including Grammy winner and Academy Award nominee Henry Krieger, cabaret crowd-pleaser (and our emcee!) Craig Pomranz, power duo Lawrence Craig and Jimmy Roberts, sopranos Sarah Blaze and Laura Green, and tenors Amine Hachem and Tony Perry. And did we mention the fine cocktails and yummy buffet? Magnifique! Tickets ($200 Preferred Seating / $150 General Admission) are available online now or from a Chorale member. 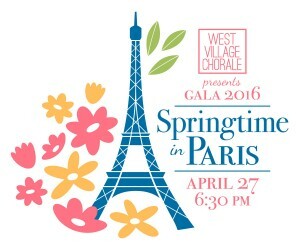 A portion of your ticket price is tax-deductible as a contribution to the West Village Chorale, a 501(c)(3) non-profit organization. Hope to share this wonderful evening with you! 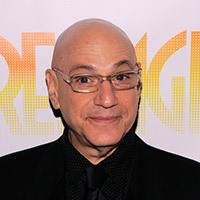 Henry Krieger: Born and raised in New York, Mr. Krieger is an American composer who has written the music for the Broadway musicals Dreamgirls, The Tap Dance Kid, and Side Show, as well as other works for musical theater. Among the many awards and accolades he has earned, Mr. Krieger was nominated for the Tony Award for Best Score for Dreamgirls, won two Grammy awards for Dreamgirls, one for 2007 Best Song Written for Motion Picture, Television or Other Visual Media, and one for the 1982 Best Show Album; and received three Academy Award nominations for the songs he wrote for the 2006 film. The Tap Dance Kid won two Tony’s in 1983. Side Show received four Tony nominations, including for best Show, in 1997. Among other projects, Mr. Krieger is currently working on the score for a musical about Tammy Faye Baker starring Kristin Chenoweth as Tammy Faye with lyrics by David Yazbek and directed by Robert Longbottom, the director of the Broadway production of Side Show and the 2009 revival of Dreamgirls. A new production of Side Show ran at the Kennedy Center in Washington, DC, last June and July, directed by Bill Condon, the director of the Dreamgirls film. Among other projects, Mr. Krieger is currently working on the score for a musical based on the 1984 film The Flamingo Kid. New York Magazine “One of New York’s most critically-acclaimed saloon singers” and the New York Post claims “The BEST male singer…his four-octave voice is alternately affecting, powerful, and nuanced; one of the finest instruments in the city.” Craig recently released the song “Different” which composers Amanda McBroom (Bette Midler’s award-winning “The Rose”) and Michele Brourman (The Land Before Time) wrote after being inspired by his children’s book Made by Raffi. The book is now out in paperback and has so far been published in 11 countries and 8 languages. His popular CDs “More Than A Seasonal Thing” and “My Heart Don’t Skip A Beat” are heard on radio stations around the world. Craig got his professional start at age twelve, performing at The MUNY (the largest outdoor theater in the country). Among his awards are New York’s MAC Award for Best Male Vocalist 2012 and the TOR Award for best actor in a musical venue. Visit www.craigpomranz.com for his performance schedule, follow him on Twitter @MadebyRaffi, and like Made by Raffi on Facebook. 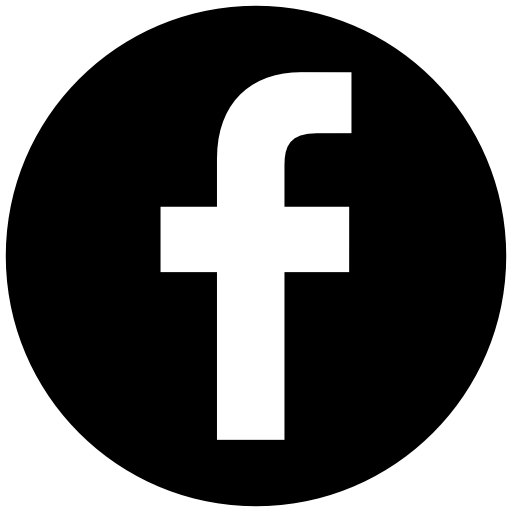 To hear more of Craig’s music, subscribe to the Craig Pomranz YouTube channel. 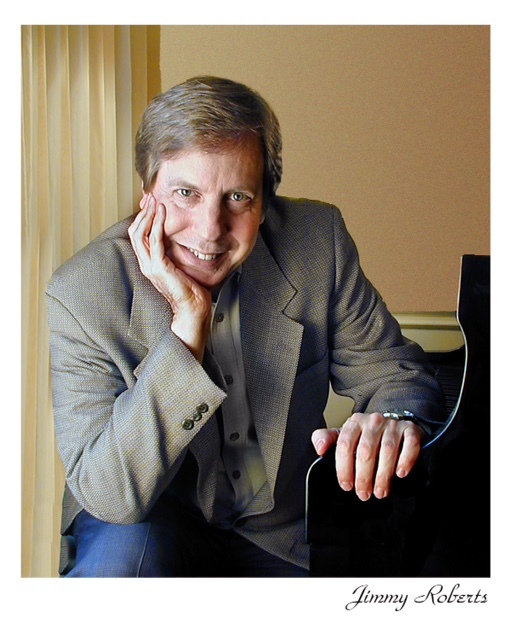 Pianist and composer Jimmy Roberts composed the music for I Love You, You’re Perfect, Now Change, the second longest-running Off Broadway musical in New York theater history. Written with playwright Joe DiPietro, I Love You… received both the Drama Desk and Outer Critics Circle nominations as Best Musical when it opened in 1996. It has since played in all fifty states as well as over 25 countries around the world. Mr. Roberts also composed The Thing About Men (2003), again with Joe DiPietro’s book and lyrics (winning the New York Outer Critics Circle award for Best Musical). Mr. Roberts’s songs were featured in two other Off Broadway musicals: A…My Name Is Still Alice and Pets! His children’s musical, The Velveteen Rabbit, toured the U.S. for well over a decade. Recent activities include composing two commissioned works, The Heart of the Matter, with words by poet Dana Gioia, Guggenheim Museum, New York (2008); and I Sing, I Pray, (2007) for Cantor Roslyn Barak, Congregation Emanu-El, San Francisco, CA; creating and performing special piano arrangements for the Grand Piano Marathon, Merkin Concert Hall (2008). Mr. Roberts is in the midst of writing two new musicals: All Dressed Up and Nowhere to Go, about a quirky motor inn in Buffalo, NY, and Rex and Lilli and The Master—concerning the special friendship of Rex Harrison, Noel Coward, and actress Lilli Palmer, and written with Harrison’s son, Carey. Mr. Roberts has presented educational programs at St. Francis College (Brooklyn), the Cab Calloway School of the Arts, in Wilmington, Delaware and The Newark School of the Arts, where he offered a concert/lecture as part of the Leonard Bernstein 90th birthday festivities. In the summer of 2010, he was guest artist at the inaugural season of the Buck Hill-Skytop Music Festival in Pennsylvania. He is a graduate of the Manhattan School of Music, where he studied with noted pianist, Constance Keene. Internationally acclaimed baritone Lawrence Craig is known for his “fine baritone” (New York Times) and “virtuosic talent” (Zürich Tages-Anzeiger) in opera, concert and recital. A student of the late William Warfield, Mr. Craig is a graduate of the Florida Grand Opera and Chautauqua Opera Young Artist Programs. As winner of the Monastero Bel Canto International Opera Competition, he studied and performed in Italy under the tutelage and direction of Maestro Walter Baracchi, former principal coach and conductor at Teatro alla Scala di Milano. Mr. Craig has appeared most notably as Escamillo in Carmen, Guglielmo in Cosi fan tutte, Ford in Falstaff and Papageno in Die Zauberflöte. 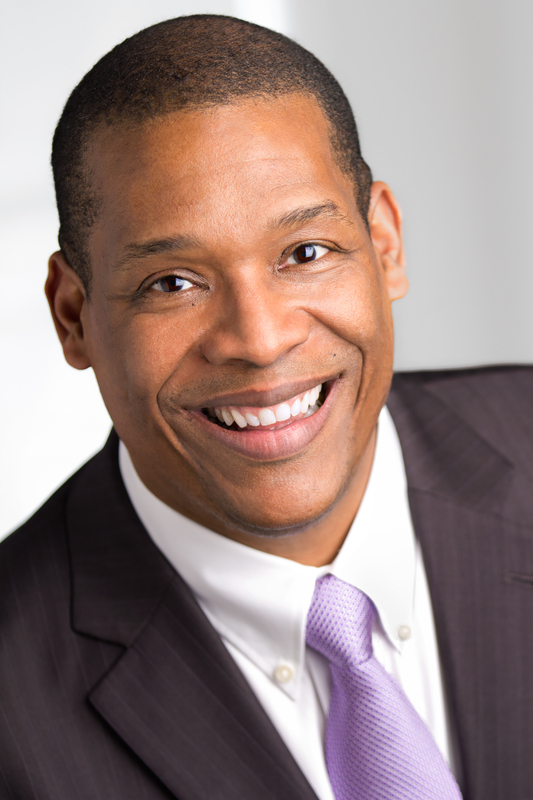 Most recently, not only was Mr. Craig triumphant in his directorial debut for the Albanian National Opera’s season opener, Gershwin’s Porgy and Bess, he also appeared in the cast as Sportin’ Life. This performance marked the premiere of Gershwin’s music in the country of Albania. He also appeared in France with L’Opéra de Toulon as Henry Davis in Street Scene, Germont in La Traviata with the Berkshire Theatre Festival at Tanglewood, Rev. White in the world premiere and motion picture version of Wolfson’s Maya’s Ark with Family Opera Initiative and Tom in Blue Monday in joint production with On Site Opera and Harlem Opera Theater. 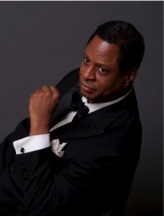 Mr. Craig made his Broadway debut in Baz Luhrmann’s La Bohème On Broadway as well as appearing in the American premiere of Kurt Weill’s Die Bürgschaft with the Spoleto Festival USA (recorded for EMI Classics). Recent concert appearances include bass soloist in Handel’s Messiah with the Philharmonics of Rochester and Syracuse, Mozart’s Vesperae solennes de confessore at Lincoln Center, Ray’s Gospel Mass at Carnegie Hall opera and jazz concerts for the Maputo International Music Festival of Mozambique, Music Sharing from New York in a tour of Japan. Wonderful season highlights include the premiere of his voice over appearance as The King of Day for the Emmy Award winning PBS KIDS television series Peg+Cat and the opportunity to sing as part of the New York concert to honor President Barak Obama’s receipt of the Nobel Peace Prize. Sarah Blaze, a musical theater and cabaret artist as well as a film and stage actor, has performed her cabaret, “No More Waiting…” to sold-out audiences in two of New York City’s most well-known clubs: Don’t Tell Mama and The Duplex. She made her Off Off Broadway debut in an Equity Showcase production singing the lead role of Jo Meriam in Al Carmine’s musical The Bonus Army, through Judson Arts and as, co-founder of the Dakota Theater Company, performed in the company’s debut production as Louise in Ted Swindley’s Always…Patsy Cline. 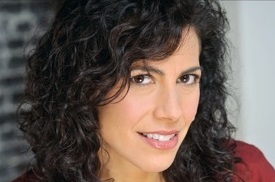 Ms. Blaze’s film work includes Gary Marshall’s Beaches, as well as two films, Beyond Belief and Down in Flames, both of which have received accolades in film festivals throughout the United States, as well as a feature-length film recognized in film festivals in both the U.S. and England, Lies I told My Little Sister. All three were directed by William J. Stribling. Her most recent performances include the world premier of Lisa K. Winkler’s play, The Shabbos List with the Thespis NY Theater Festival and Al Carmine’s Christmas Rappings as the Virgin Mary with Judson Arts. Ms. Blaze has conducted master classes in Aberdeen, Scotland and Grand Forks, North Dakota and maintains a private voice studio in New York City. 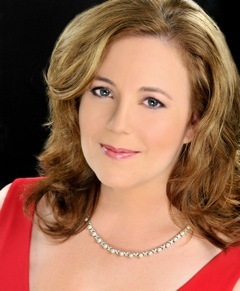 Soprano Laura Green is an active singer and conductor in the greater New York area. She has performed with the West Village Chorale since 2002 on concerts including Michael Conley’s This Bequest of Wings and Appalachian Requiem, and Bach’s Mass in D.
Ms. Green conducts choirs at the Reformed Church of Bronxville and the Hoff-Barthelson School, both in Westchester County. She has sung on stage with Dave Brubeck, Leon Botsein, Riccardo Muti, Lorin Maazel, Alan Gilbert, Xian Zhang, Harold Rosenbaum, Matthew Phelps, K. Scott Warren, and Kent Tritle. Recordings include a collection of Haydn Masses with the Choir of Trinity Wall Street, John Adams’ On the Transmigration of Souls (Grammy Winner with NY Philharmonic), and (soloist). Ms. Green coordinates the The Yuletide Singers, a crew of 20+ professionals ready to torture you with Christmas songs ad nauseam from Halloween until the clock strikes midnight on Christmas Eve. This ensemble’s Snow Carolers won the first Rachael Ray “Battle of the Carolers” as judged by Nick Cannon. Dubbed as “a soulful and handsome young man who delivers an electrifying and thrilling performance, bringing the crowd to their feet” (An-Nahar), tenor Amine J. Hachem is a Lebanese-American operatic and crossover tenor who has thrilled audiences across the United States, Europe, and the Middle East. 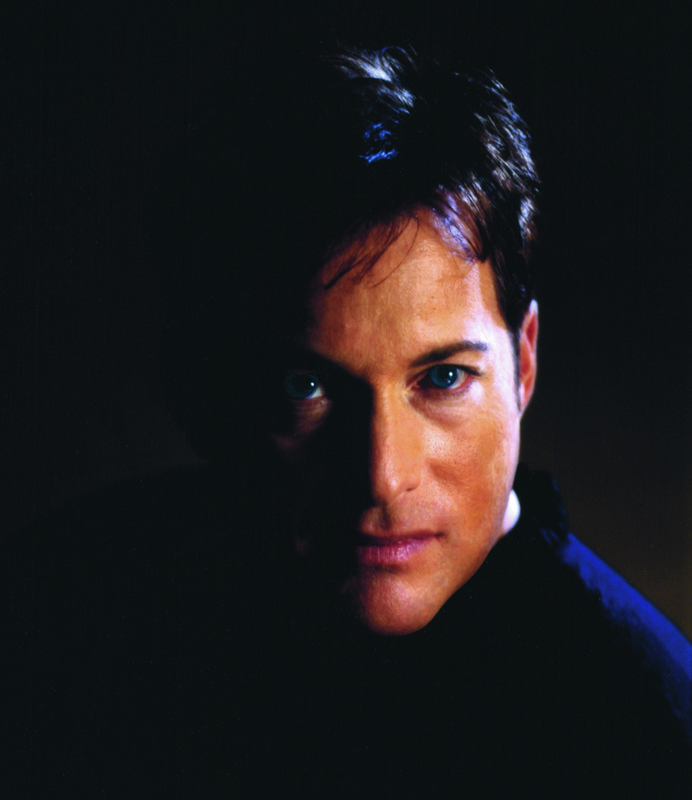 He has been a leading tenor in several operas and musicals, including La Traviata, Tosca, La Boheme, Carmen, I Lombardi alla Prima Crociata, Phantom of the Opera, Evita and Joseph and the Amazing Technicolor Dreamcoat. 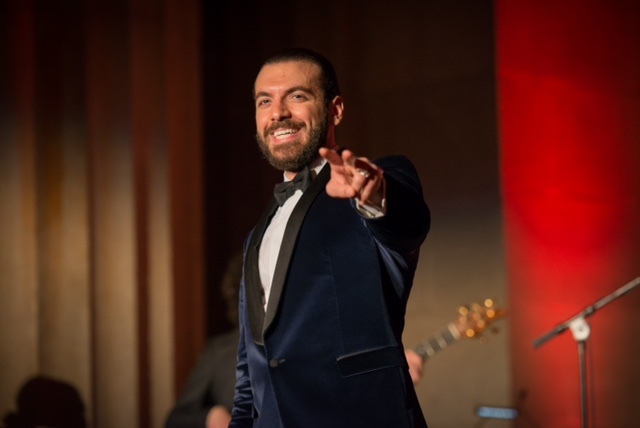 Highlights of his previous season include singing at the United Nations honoring the main drafters of the Universal Declaration of Human Rights, live performances at the MGM Grand Casino in Detroit, New York’s premium Broadway Club 54 Below, and at the historic Andrew W. Mellon Auditorium in Washington, D.C., as well as his New York City solo concert debut in December 2015, at The Elebash Recital Hall. Tony Perry has been seen on the New York stage in the US premiere of Murray Schisgal’s 74 Georgia Avenue, which was performed in English and Yiddish; Martin: A New Musical; A Shelter In Our Car; Allegro; Repo: The Genetic Opera; The Groove Factory; Cross That River; The Elf, The Bunny and the Big Xmas Blowup; and The Bonus Army. Among his favorite roles are Jim Conley in Parade; Big Moe in Five Guys Named Moe; Ken in Ain’t Misbehavin; Riff Raff in The Rocky Horror Show; Parchester in Me and My Girl; and Jim in Big River; For the last several years has performed in Soul to Soul, a concert celebrating the journeys of African-Americans and Jewish-American immigrants. As a singer-songwriter Mr. Perry has performed all across the northeast and has three CDs available at www.tonyperry.com and iTunes. He is a proud member of SAG-Aftra and Actors Equity Association.